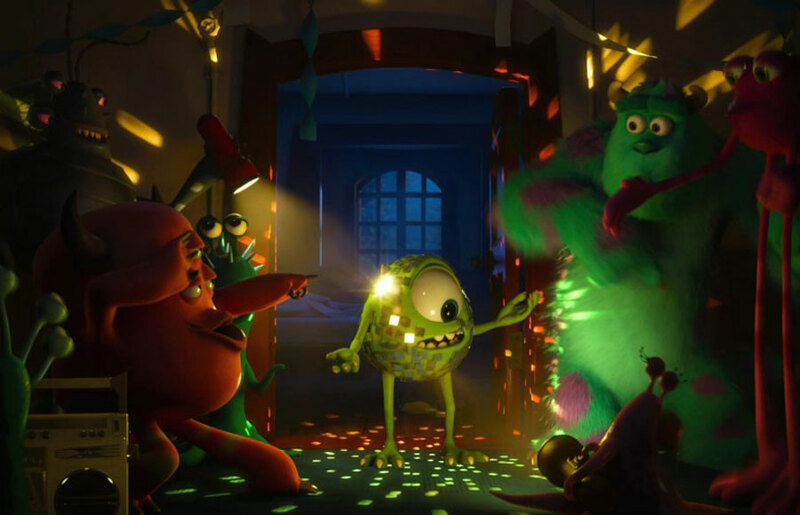 Breaking away from the tradition of “Cars” and “Toy Story,” Pixar’s “Monsters University” is a prequel to 2001’s “Monsters, Inc.” that tells the story of how Mike Wazowski and James P. Sullivan became best friends. While not quite overtaking the spectacular original, “Monsters University” does a masterful job of fully rendering the college experience while retaining its G-rated charm. Unlike most best friends, Mike and Sully first started out as rivals. Voiced by Billy Crystal, Wazowski is the bright-eyed kid with short legs and big dreams of becoming a fabled scarer, those elite monsters who fulfill their civic duty of gathering scream energy to power the city of Monstropolis. Meanwhile, Sullivan (John Goodman) has never had to work a day in his life due to his family legacy, imposing stature and happy-go-lucky nature. The two get competitive in Scaring School (which bares an impressive likeness to Doe Library), but must work together after getting expelled to win the Scare Games, put on by MU’s fraternities and sororities. As in any Greek system, frats rank themselves by desirability, and Mike and Sully end up in the lamest frat on campus, Oozma Kappa. Among others, OK includes Don Carlton, the laid-off salesman who “just wants to learn the computers,” Art, the purple monster voiced by Charlie Day who arguably has the best throwaway of the entire film (“I can’t go back to jail!”) and Squishy, whose mother proves a valuable if patently cheerful addition to the team. Their rival, Roar Omega Roar, perfectly encapsulates the alpha frat down to their letters and charity fundraising. After the OK team gets “Carried” with glitter, flowers and stuffed animals (“Cute-ma Kappa: the cutest frat on campus!”), Mike and Sully decide to step up their game in order to get back into scaring school. Monsters University hits every element of the quintessential college experience; hippies playing guitar and hacky sack in a circle, stealing the rival school’s mascot (“Beat Fear Tech!”), laid-back legacy kids versus hardworking bookworms, a Ferris Bueller-esque professor and a terrifying dean who is part dragon and part cockroach (okay, maybe not that quintessential). The film also features many of its sequel’s characters, including the laconic Ros, cheerful Abominable Snowman and slimy Randall Boggs. While its message doesn’t have quite the same heart as that of its predecessor, it’s sure to be an enjoyable experience for those of all ages.